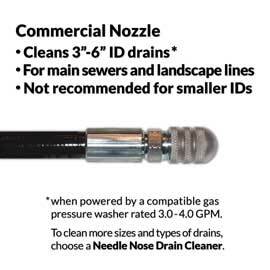 Thicker braided steel center jacket handles hot water up to 210° F.
Complete with an adapter to fit the spray wand of most hot-water machines. 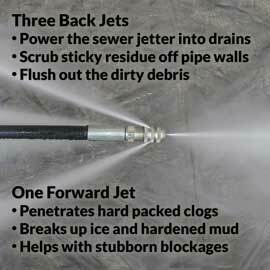 Professional grade hot-water sewer jetter hose is wear-tested for durability. 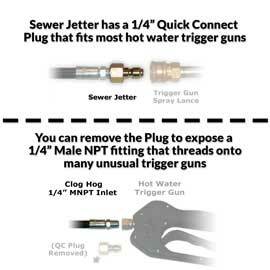 1/4" NPT inlet can also direct connect to most hot water trigger guns. 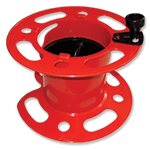 The 1/4" QC Plug adapter on this drain cleaner fits most hot-water machines' spray wands. 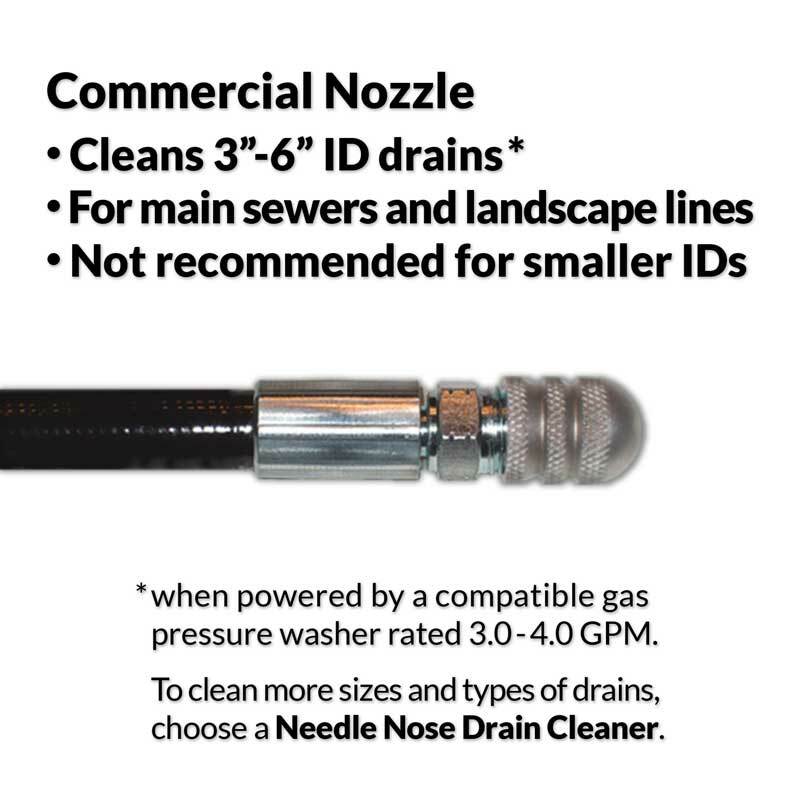 The 1/4" NPT inlet that's exposed when you remove this adapter can direct connect to many hot water trigger guns. If your hot water machine is not listed here please contact us. High Pressure Line OD: 0.52 In. We used this item the same day we got it. 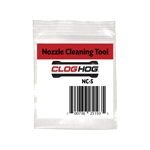 we used it on some pipes that our regular pipe cleaner wouldn't work on but your item works great for its intended purpose. 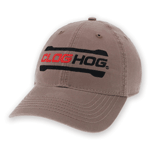 We use the Clog Hog to keep the drains in our sausage manufacturing facility free flowing. 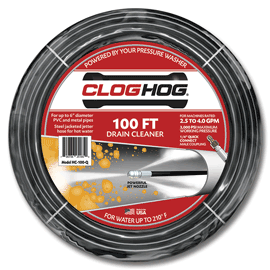 A soon as we notice a slow drain we run the Clog Hog. The clog Hog has greatly cut down on our trouble calls to a plumber. 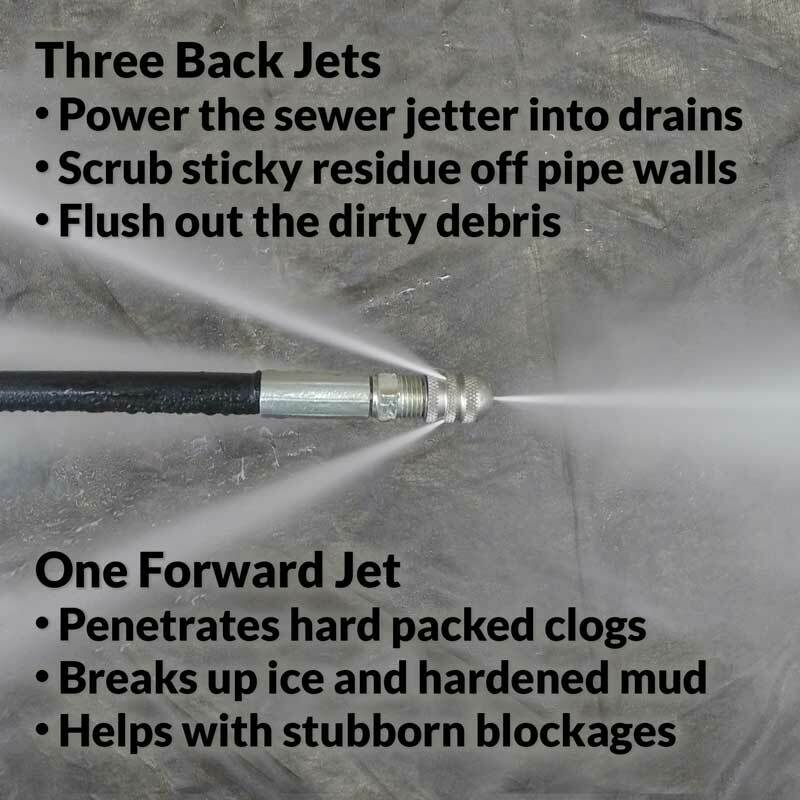 Never let's me down, I would definitely recommend this to anyone looking to clean drains. 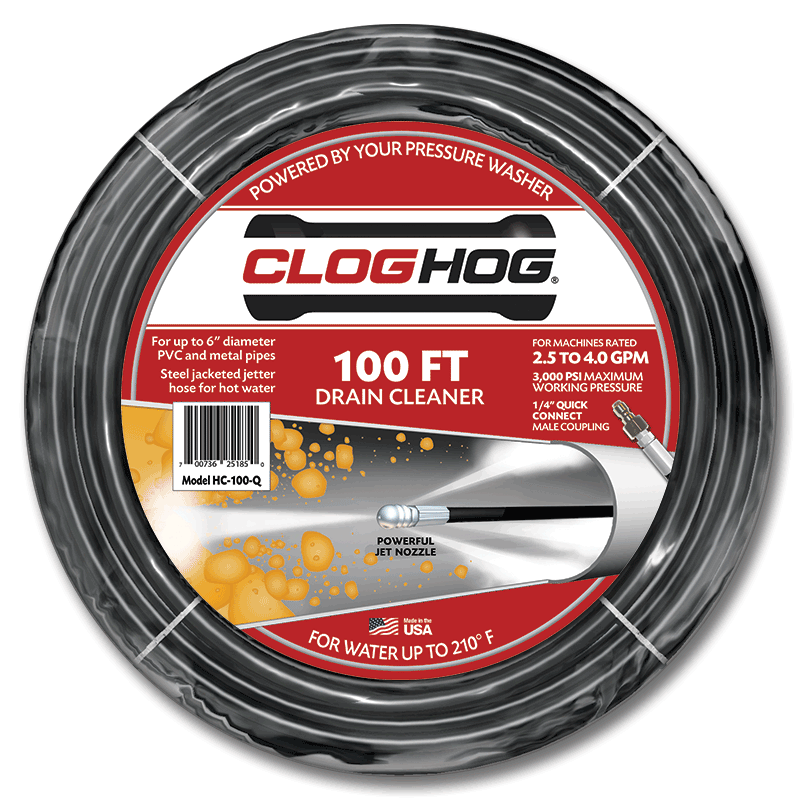 After receiving the Clog Hog, my shop personnel used it on our shop drain which was installed in 1992 and was slowly getting worse and worse. It had several bends and was approx 300 feet long. It was completely cleared using it the first time time and now drains perfectly. 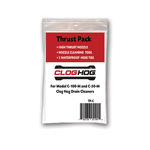 I would recommend this product to anyone who deals with drain cleaning or who has a problem drain. It does an amazing job clearing and cleaning just as it said. Would definitely purchase this product again. love the product. 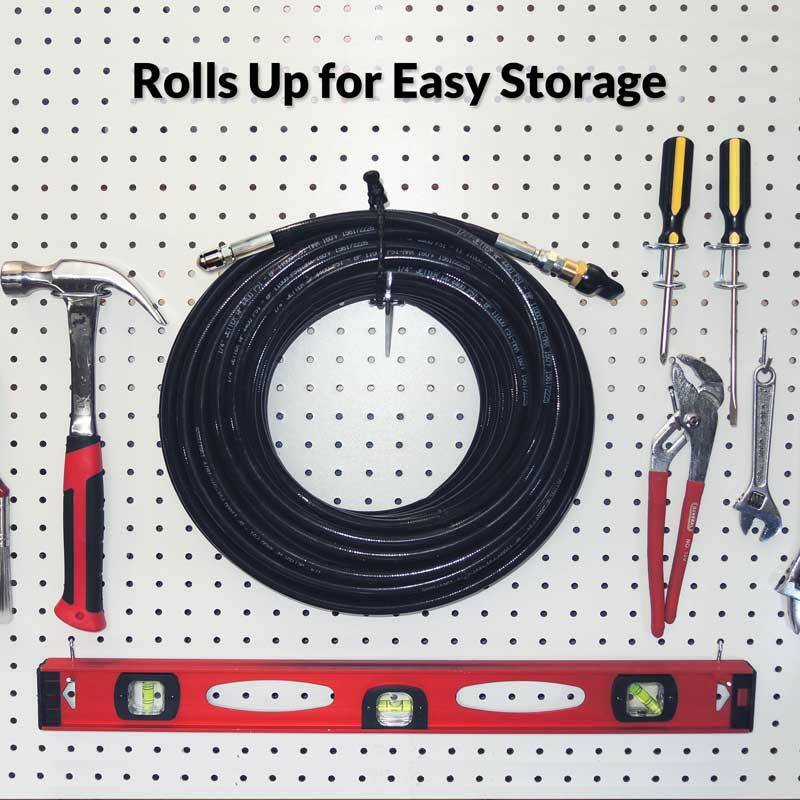 the only thing we would like to see is a coupling system so we could hook two 100ft hoses together or a 200ft option for sale. Thank you for your review. 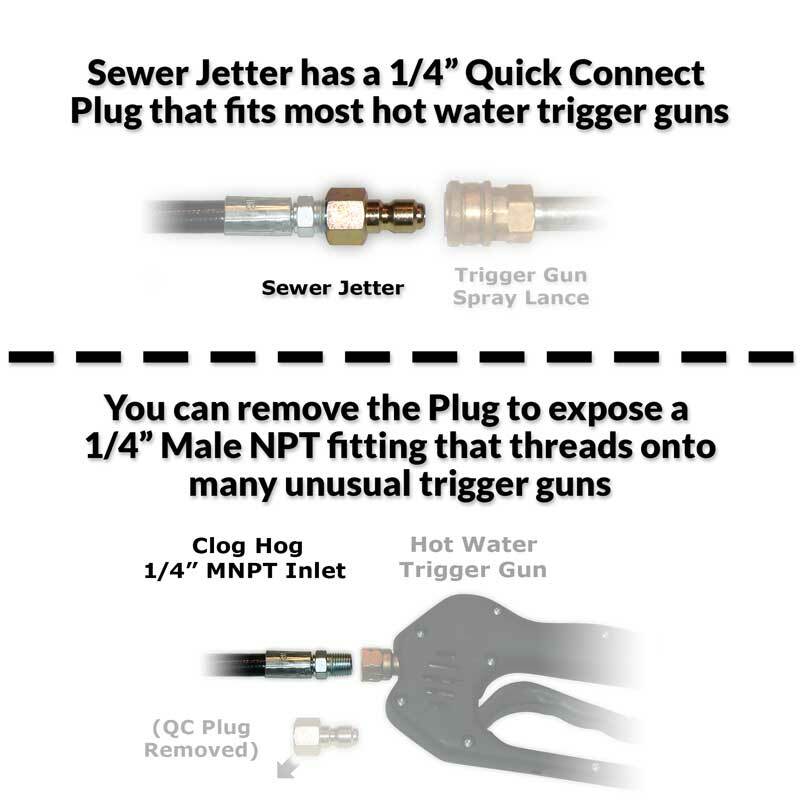 Regarding the comment about connecting two sewer jetter hoses together, as noted on our FAQ Page this is always discouraged since any threaded coupling you'd use to connect the two hoses will be less flexible and weaker than the hose. Should you connect two hoses together and the coupling break inside a drain, there could be a difficult extraction job. We had a blockage of kitchen grease accumulated in a 6" pvc drain line. The blockage had completely stopped the flow, with 15 minutes of work, it burrowed thru and release more than 50 gallons of thick heavy grease that was then removed thru a clean out. Do to the location of the clean out, truck access for a commercial sewer jet truck was impossible. The clog hog was the perfect solution. We thaw out water and sewer lines in the winter and this has been great hose to use. It has saved a lot of time. Easy to connect to my hot water pressure washer.